A feral cat was trapped off of Maple St. in West Boylston through CaRMaH's TNR (Trap-Neuter-Return) program on Saturday, Sept. 29th. On Tuesday morning, she surprised us with 3 tiny kittens. We are so thankful this mom was off the street before she gave birth. Her and her kittens are warm, comfy, and in a safe place. CaRMaH is throwing a kitten shower to help with the cost of food and medical expenses. 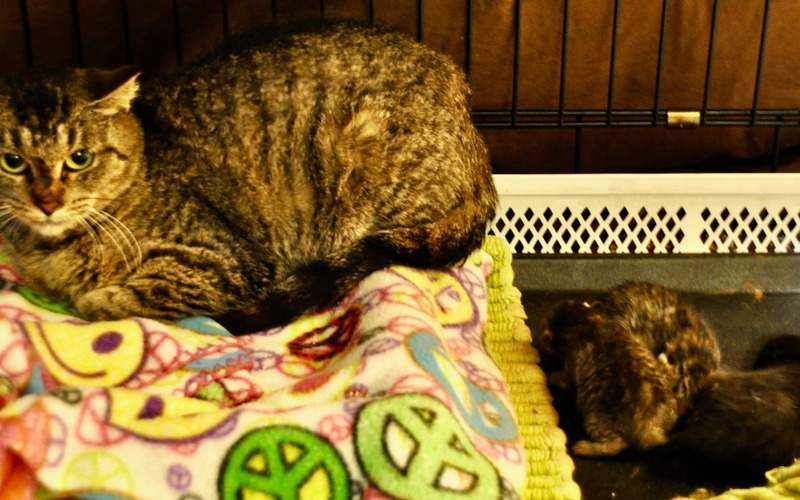 A nursing mom eats a LOT and when her kittens are old enough to eat, they will too. All the cats will require medical care including spay/neuter surgery. Your donation will allow CaRMaH to continue helping feral cats and their offspring through the TNR program.